To which I can only say RIGHT ON! 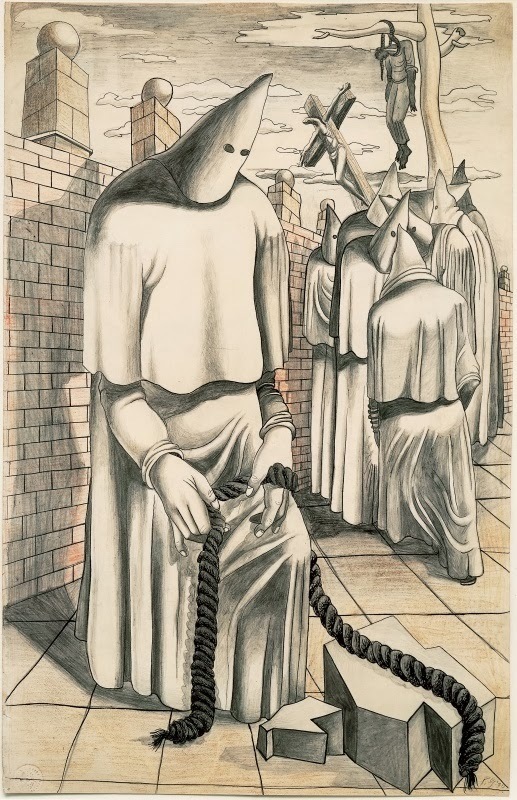 Philip Guston, Drawing for Conspirators, 1930, graphite, ink, colored pencils, and crayon on paper, 21 1/2 z 14 1/2 inches. This was drawn when Guston was 17.